Hey guys. Merry Christmas... in 4 weeks hehe! I hope everyone had a wonderful Thanksgiving!! We're having turkey leftovers and they are delicious! 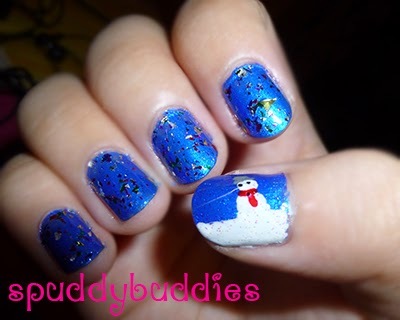 Here are some Christmas nails I did last year (I think). 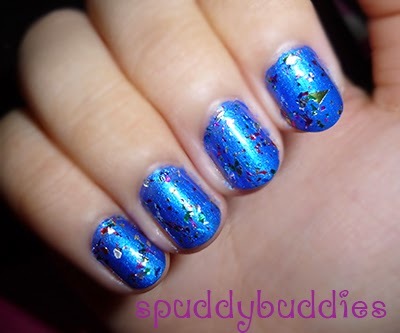 All I used for this nail design was China Glaze - Frostbite, Love & Beauty - Confetti Sprinkles, China Glaze - Salsa, a white nail art pen and some black nail polish. 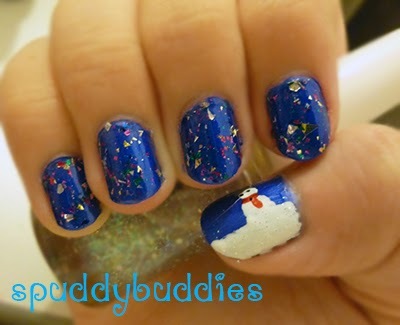 I layered Confetti Sprinkles over Frostbite and for my thumb nail, I used the nail art pen to draw the snow and snowman. I dotted on the scarf, eyes and hat. And that's it! Haha, as you can see there's not much to it. 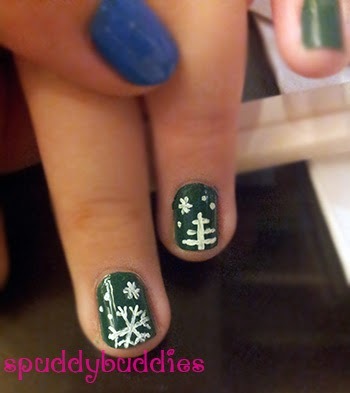 I used China Glaze - Exotic Encounters as the base and used a white nail art pen to draw the snowflakes and VERY minimalistic tree. I liked how they turned out. Let me know what you think. What Christmas nails have you done or are you about to do?